This week, I look at an AD&D adventure, a 5e book of NPCs, and a trapped-in-a-RPG role-playing game. All of these offer something fun for the gaming table. Ends on Wed, February 14 2018 5:00 PM EST . “Fantasy role-playing module for 1st or 2nd Ed AD&D, BECMI D&D, OSRIC, DCC, Pathfinder, Labyrinth Lord, Swords & Wizardry, or other OSR. “Tower of the Black Sorcerers” is the first project of Dungeoneers Guild Games’ DUNGEON DELVES adventure modules. This game adventure is designed specifically for the first edition of the original and everyone’s favorite fantasy role-playing game. It can easily be adapted to most fantasy role-playing games including the advanced 2nd edition game, the original game, the BECMI (“Basic”) game, and most old-school renaissance (OSR) role-playing systems or other game systems. The module consists of 24 pages of high adventure, sorcery, and mystery with minimal plot that allows it to fit easily into any campaign world. It is designed to have the look and feel of the classic Dungeons & Dragons modules of the early and mid-1980s. The module’s origins come from an adventure I wrote for my current AD&D campaign that has been running for the last 15 years. The evil wizards and their minions proved to be quite a challenge for my players. “Tower of the Black Sorcerers” will be available in print and PDF versions. The print version has a classic module format with stapled booklet and cardstock cover. Maps are printed in dungeon blue on the inside the cover for that genuine old school gaming feel. Creating a module that consists of quality production, artwork, and printing that is also great to play is the ultimate goal of this project. If the first proof from the printer is any indication, that goal has been achieved. As of this moment, all editing, layout, and artwork for the “Tower of the Black Sorcerers” are fully completed. All that is left is to have the physical copies printed. I have a professional, quality printer selected and ready to go. “Tower of the Black Sorcerers” front cover with art by Bradley K. McDevitt. The sorcerer, Basharn, defends his tower from invading adventurers. The black sorcerers have dwelled within their baleful tower for hundreds of years. Now something evil stirs in the town of Bal-Curz — strange happenings of malefic magics and persons disappearing in the night. The fearful townsfolk whisper that its source stems from the Black Tower. Possibly a few bold heroes could Investigate the tower to uncover its secrets and put an end to this unseen terror? Russ Nicholson’s depiction of the adventurers discovering the shrine of the loathsome god, Morraith. Old school adventure for, really, AD&D, though it can be used for other systems, but based on the write-up, it’s calibrated for 1e. There are a number of OSR adventures that come out and the demand is always there for them. In a way, I’m always amazed that the system I cut my teeth on still has this level of demand. Then I think back to how fun the quirks of 1e are and I see the appeal. This one is well worth checking out. Ends on Sat, February 17 2018 12:00 AM EST . “200+ pages of excellent NPCs and pre-built characters at level 1, 4, 8, 12, 16, and 20. Statblocks, roleplaying cues, stories and more! Following on from 2016’s Ultimate NPCs: Skulduggery, Ultimate NPCs: Warfare presents a collection of 30 fully fleshed-out characters to populate your game world. From high command to the cook’s tent, you’ll find a variety of soldiers, auxiliaries, and noncombatants within, each with the backstory and statistics necessary to run as an NPC or player character. How many times have you been put on the spot in the middle of a game and needed to generate one or more highly detailed and well thought-out NPCs? How many times have you spent valuable time pre-game building a fantastic NPC from scratch, only to have the players pass by the tavern they were located in? How many times have you been a player wanting to join a party but didn’t have any good ideas for a character build? How many times have you been running a game and had a player want to join but just didn’t know how to create a character and level them up to be comparable with the rest of the party?! Ultimate NPCs solves all of these issues as well as a great deal more! The book is packed with exciting, versatile and dynamic character builds that can be used in a myriad of different ways in 5th Edition format. The book has 30 uniquely designed characters at levels 1, 4, 8, 12, 16, and 20. This gives maximum versatility for minimal cost and shelf space. Some of the characters are ones that we, the designers, have run in our campaigns for years, some are NPCs we’ve used to challenge or aid our players, and others are brand new builds. This isn’t Nord Games first Ultimate NPCs book as they’ve also done Ultimate NPCs: Skulduggery for 5e, Pathfinder and S&W!. However, this one has a narrower focus in terms of gaming systems. I like the utility of having a variety of NPCs at various stages of their existence (levels 1, 4, 8, 12, 16, and 20) on tap. This allows on-the-fly NPCs that can grow with the campaign and show up when needed. These types of books – collections of realized background characters – are a great DM resource. Ends on Mon, February 19 2018 11:50 PM EST . “From the makers of FARFLUNG and MYRIAD SONG comes a game of mixed emotions, virtual mystery, and danger that is all too real. Embrace the isekai spirit of Sword Art Online, Persona, Accel World, Log Horizon, Ready Player One, Dream Park, and other stories where there’s one world that offers far too little .. and another that’s all too much. Vital Hearts is a tabletop game where you have not one but two characters: your personal user in a modern-day Japan… and an avatar in the next generation in multiplayer gaming. 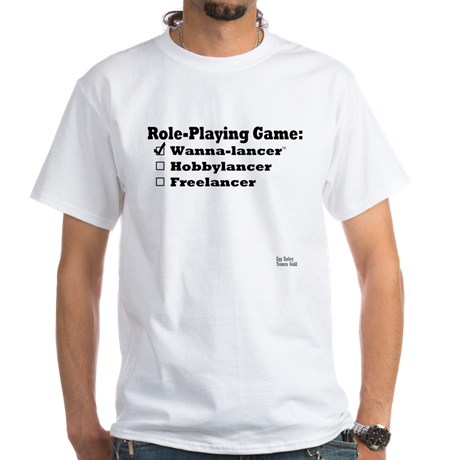 It’s fun at first, as you balance your work-a-day life with your hack-and-slash gaming. And sure, you might dismiss those fake screenshots and Internet hoaxes at first… but there’s definitely something mixed up around here. You’ll be playing not one, but two characters: your persona in Real Life, who has to go to work, to school, and to do other chores… with your avatar in Virtual Reality, who uses fantastic techs of sword and spell to defeat monsters and win the day. For the game of Vital Hearts, you must strike a balance between RL and VR. If your character spends too much time in the game, they’ll fall behind on their daily life. But if you can’t keep up the pace in the game, you may miss out on great rewards. As you make your own stories, the line between the two gets thinner. Logic, math, and academic skills will help you solve puzzles in the game. Reflexes, wits, and bravery earned in the game can give you new confidence to deal with the ordinary. Whatever path you choose, let your past glories build your future success… because you’ll need to be ready for what’s to come. … But It’s Only a Game, Isn’t it? The Internet is full of viral hoaxes. And all kinds of people play these games, so it’s not that weird when one or two make the news. And you just want to play games, not get caught up in politics of anti-gaming organizations, patent disputes, and other things. But the longer you play the Vital Hearts game, the more things happen that are just … odd. Are you and your friends the targets of identity thieves trying to hack your accounts? What kind of publicity stunt goes so badly that the police get involved? Did those accounts go dark because those people just quit… or because of something else? Just what is going on? You’ll have to work together with your friends, using both your VR champion and your RL self, if you don’t want to be just another victim. And it might not just be you and your friends who are in danger. WIth Vital Hearts getting ready to launch in all regions, the fate of the entire world could be at stake! As they note, this is shades of “Sword Art Online, Persona, Accel World, Log Horizon, Ready Player One, Dream Park” or, further afield, the Dungeons & Dragons cartoon brought to the tabletop. In Vital Hearts, you’re playing a player in the “real” world AND their character inside the game. You make two characters so it’s the opportunity to indulge in a different set of skills – you playing the player playing the character. This offers the rare opportunity to really delve into your acting and lampoon your table habits like a good actor playing a bad actor trying to play a dice-driven character. Add to this, the creators of the game are clearly going for a meta experience where you could work in moments of real life and you have something worth checking out.